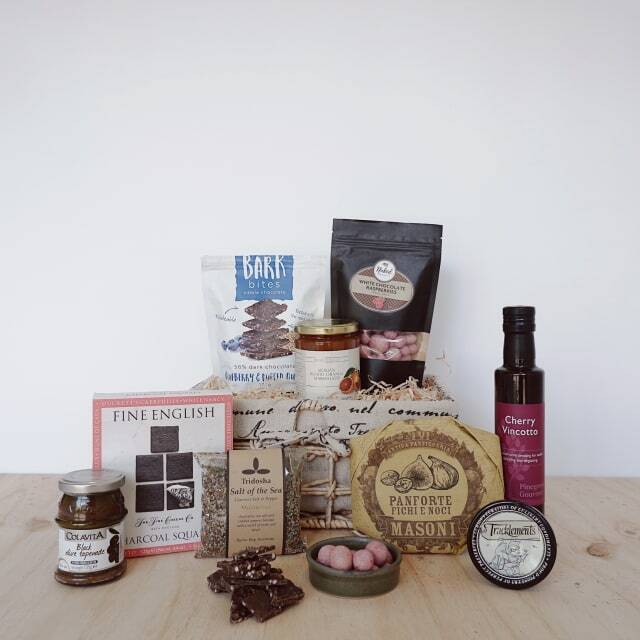 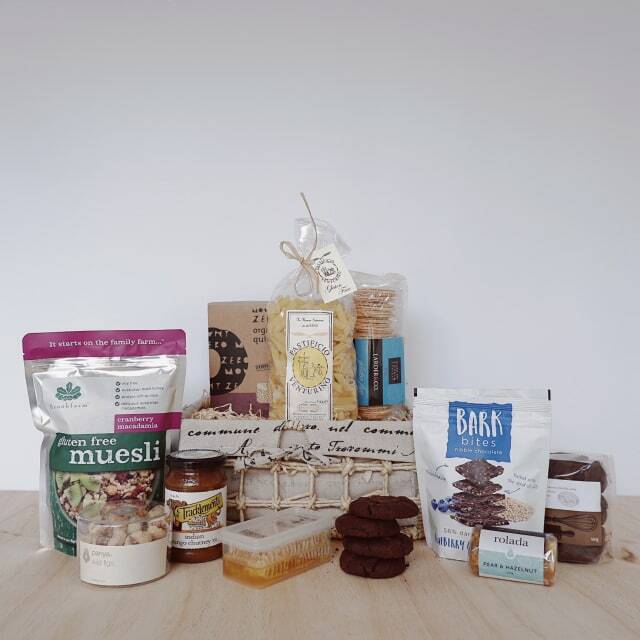 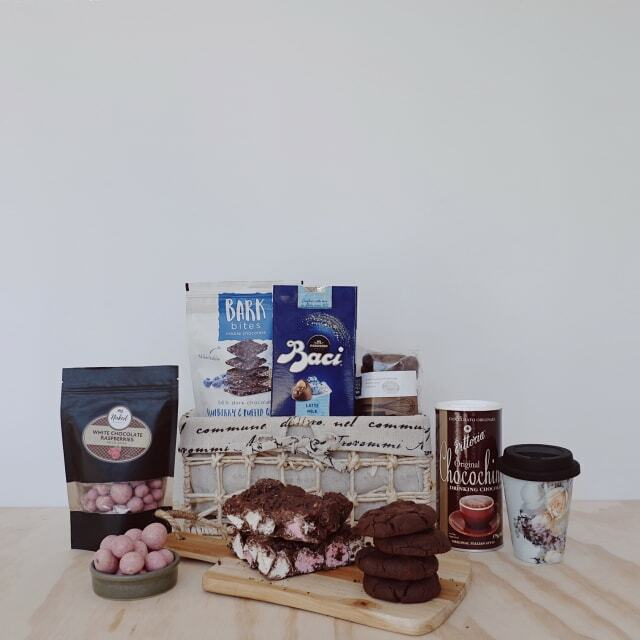 Whether you’re heading over to a friends place or treating the staff at work to a mid morning or afternoon treat, this hamper has everything you need to make the time sweet and enjoyable. 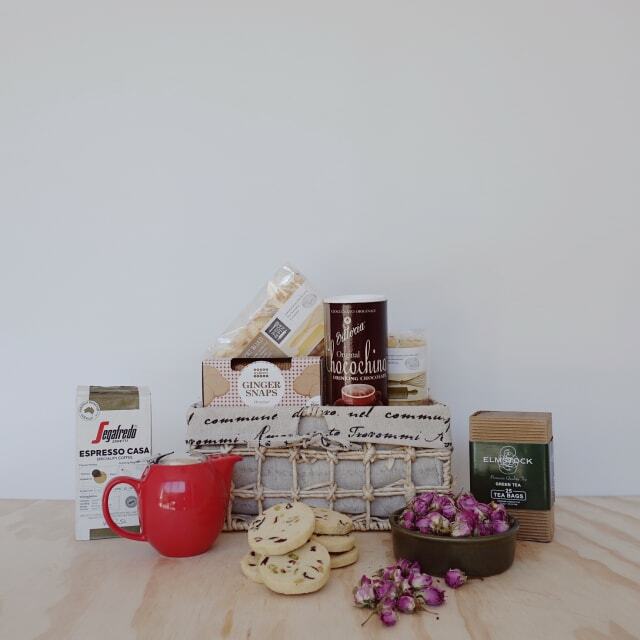 Included in this hamper are the beautifully scented edible rose buds by Pariya, which add colour and scent to your favourite herbal teas. 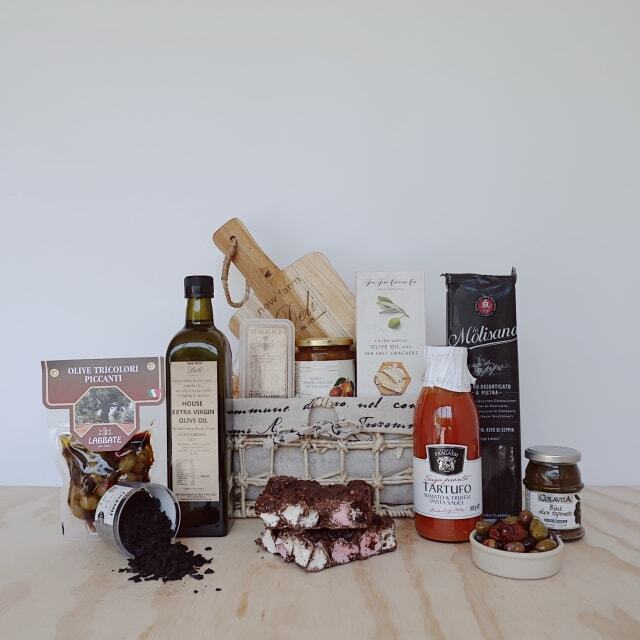 Beautifully presented in a basket with shrink wrap and New Farm Deli ribbon.